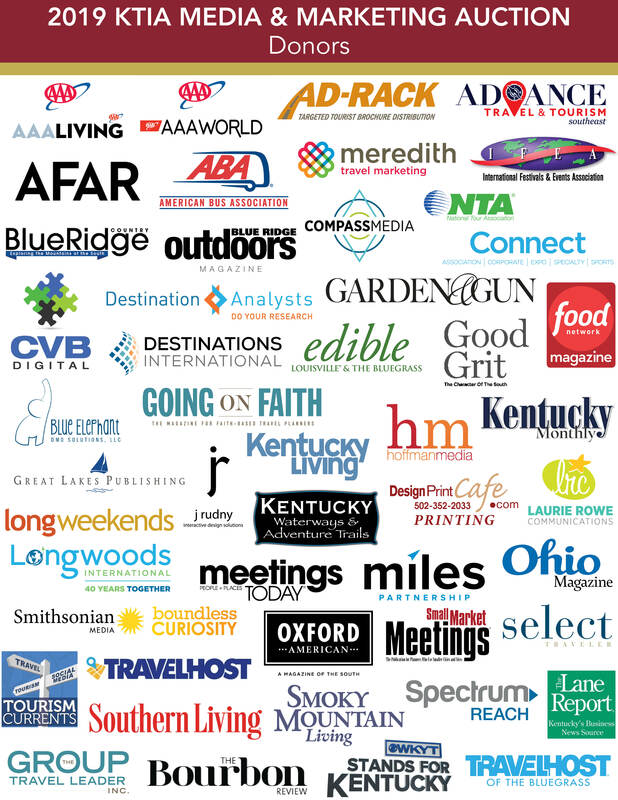 KTIA organizes an annual Media & Marketing Auction event for all members as an opportunity for those participating to receive excellent exposure in some of the state and nation’s top brochures, magazines, travel shows, and publications. In addition to traditional marketing opportunities, the auction also includes services from research and marking firms, consultants and industry membership organizations. The funds raised from the Media Auction help the KTIA produce its many high-quality programs and conferences each year. To view this year's donated items, click the link below. A downloadable catalogue is also available. You must be a KTIA member in order to bid in this auction. In order to start bidding on April 3, you must first register to Handbid. To do so, simply click here. Note that if you have already registered with Handbid during one of our previous auctions, you will simply need to hit the "log-in" feature and type in your Handbid credentials. If you have never registered with Handbid, you will need to fill out the short form on the screen where you will enter your name, email address, a phone number and submit a password. Once that information has been processed, a paddle number will be generated and that will serve as your bid number for the auction. A welcome message will pop up which you can close out of and from there you are set to browse freely by clicking the items button. If you have any issues or questions with the sign up process or with the auction in general, please email Sarah Brock. Also, please note that since we are only opening this auction to KTIA members (or KTIA representatives), we will have to manually check you in to the auction. A huge thank you to our amazing 2019 donors!